It seems counterintuitive to hire an Intelligent Design contractor to build a wood deck in the fall. After all, you may not be able to spend much time on it. But there are advantages to having your deck professionally installed during the Autumn season. We list some of these advantages below. When everyone else is booking our contractors in the spring and summer, you will find that there is a little more wiggle room to hire us after September. You can relax while we build your deck outside. During the summertime the ground is soft. During the fall and winter, however, the ground is harder. Therefore, our construction crew can work on your property with minimal damage to the yard surface. When spring rolls back around, the grass will grow back with no problems. Rather than building your deck during the spring and summer, we can build it during the fall? That way when spring comes around, you’ll already be set for your first cookout. There’s nothing better than being prepared. Many of the materials that are used to build decks may cost less in the fall than they do in the spring due to drop in demand. Many hardware and home improvement stores offer off-season pricing. We can, in turn, pass the savings onto you. Although there is more flexibility when scheduling a deck project in the fall, we suggest that you schedule the build at least three to six months in advance. This will give us plenty of time to properly design the deck and give you options and ideas to choose from in the meantime. Remember, you’ll be spending a lot of time on your deck. So you’ll need some time to get creative and develop the right floorplan and design for you. 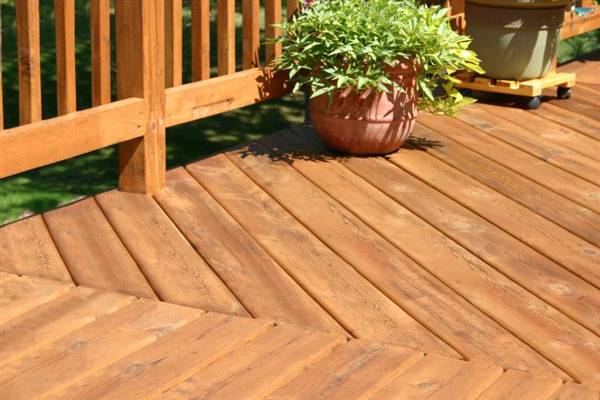 Don’t wait until Spring to have your deck professionally built. Hire an Intelligent Design contractor to design and build your deck to your exact specifications. Call us at 763-315-0745 schedule a free estimate. We build decks for homeowners across Minneapolis and St. Paul, Minnesota. « How Important is Your Roof's Insulation?